Stockbridge — February is poised to be an auspicious month at the Norman Rockwell Museum. The annual Berkshire County High School Art Show, a foundation of the organization’s work with high school students, will celebrate its 33rd anniversary when it opens on Saturday. Sunday, Feb. 4, marks the 125th anniversary of the birth of the iconic American illustrator. Finally, the exhibition “Gregory Manchess: Above the Timberline,” on view through Sunday, Feb. 24, means the 36-acre campus is virtually buzzing with excitement in the midst of an otherwise dreary month. According to Mary Berle, chief educator at the Norman Rockwell Museum, the genesis of this particular project was simple: “How do we connect with high school students, give them some ways to participate, and create a product that can travel with the show and also further our deepening commitment to area students?” The answer presented itself in the guise of an old-school radio play, directed and performed by talented Berkshire County high school students and set to a backdrop of Manchess’ illustrations, which will be animated with sound effects. 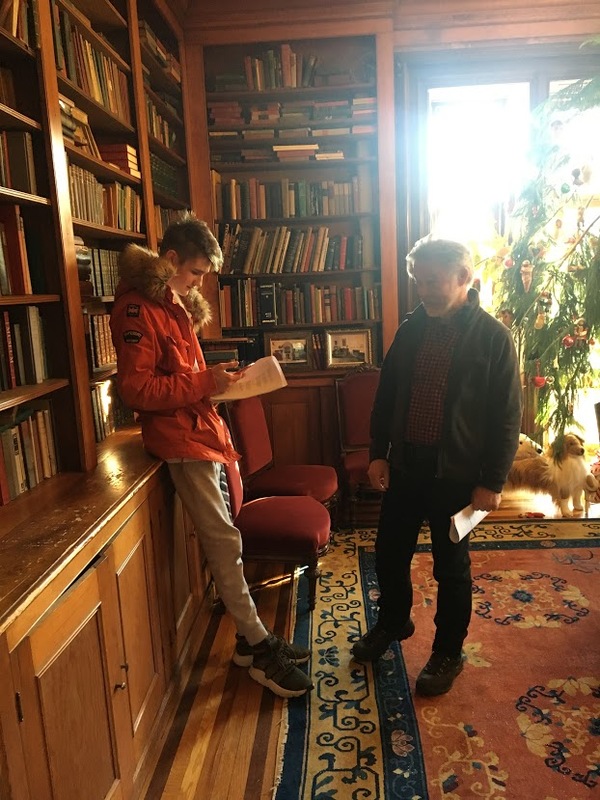 The play itself will be based on 34 images from Manchess’ book, performed by what Berle calls “a very, very talented group of high school students,” all seasoned actors who are having fun making this project come alive. 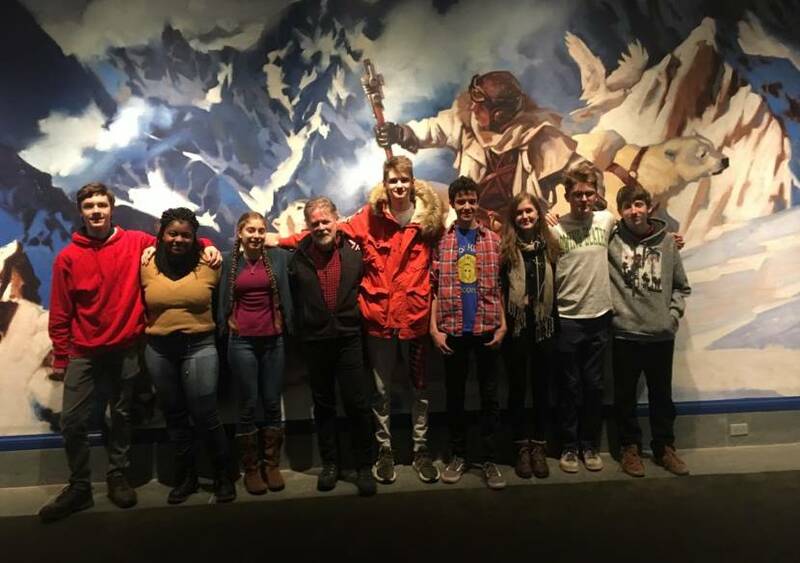 The five students—from Monument Mountain Regional High School, the Berkshire Waldorf High School and one home-schooled student—are rubbing elbows with a remarkable team of experts in their respective fields: Jesse Kowalski, curator of exhibitions; Richard Bradway, director of digital learning and engagement; and Patrick O’Donnell, education program and outreach manager. Berle sang the praises of each of them: “Jesse recognized Gregory Manchess as someone really special; Rich has been visionary with his digital engagement work; and Patrick is responsible for doing the Photoshop that makes it possible to animate Manchess’ original paintings,” she explained. “The seed of this idea came from conversations that we had with Greg Manchess,” said Bradway in a nod to “very sophisticated concept drawings” that he imagined being used in a movie, one rife with special effects and a lot of great scenes. “We have animated [Manchess’] images, but all with the intent of preserving what he has done. We are trying not to go too crazy with adding anything that would take away from what [the artist] has accomplished,” Bradway explained, which means the project has been done with Manchess’ consent and full involvement. Manchess’ first fully painted novel “Above the Timberline,” the subject of the museum’s current exhibition, draws attention to the use of light and shadow, color strategies, figure construction, and tonal design—all of which the artist will discuss during “Real and Imagined: A Master Painting Class” Sunday, Feb. 3. 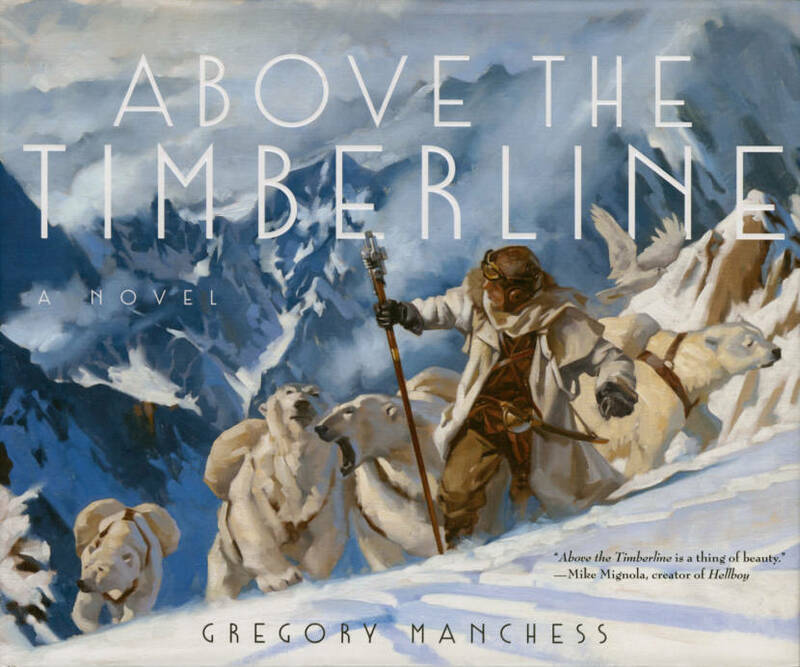 Manchess has created a lavishly painted novel—comprised of 124 oil paintings across 240 pages—that chronicles the son of a famed polar explorer searching for his stranded father, and a lost city buried under snow in an alternate future. In “Above the Timberline,” when it started to snow, it didn’t stop for 1,500 years. 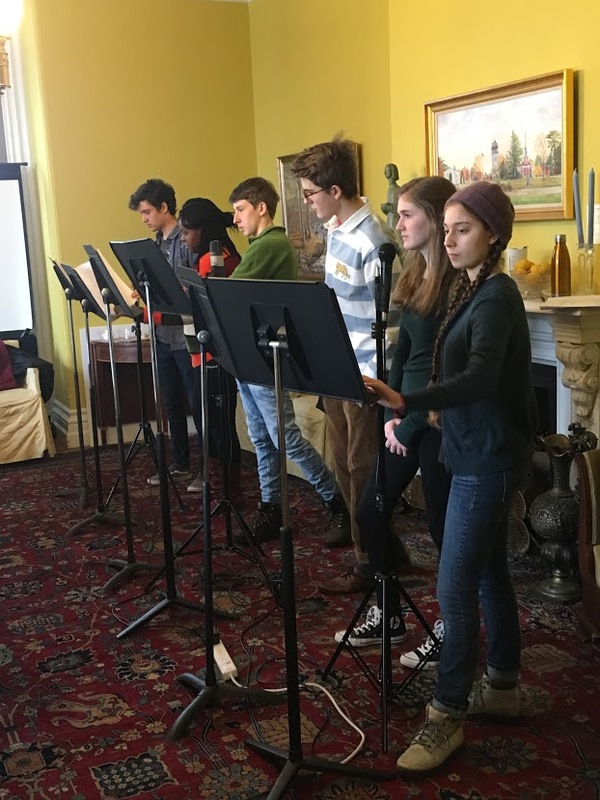 “Above the Timberline: A Radio Play” will be performed Friday, Feb. 1, at 7 p.m. by area high school students at the Mahaiwe Performing Arts Center, Great Barrington; an artist talk with Gregory Manchess will follow. The event is free. For more information and to reserve tickets, see the Berkshire Edge calendar.